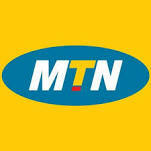 Hello guys, this is the latest MTN NG 0.0k free browsing cheat which is presently working on HTTP Injector VPN. This cheat is not unlimited but capped at 1GB on some sims, while some sims are capped at 2GB - 3GB daily. I will be dropping a new HTTP Injector config file for this MTN 0.0k free browsing cheat. It works on both MTN 4G and 3G Sim. Without wasting much time, let's get down to the settings. HTTP Injector vpn - download here. HTTP Injector Config for MTN 0.0k Cheat, download any one below. (This config won't work for you if your Android phone is rooted). Config 3 - download here.